A majestic Pintail duck takes wing across the sky. The sky is agate with patterns of blue green tint folded through it. White marble softens the body like soft feathers while white agate represents the hard stiff tail feathers. 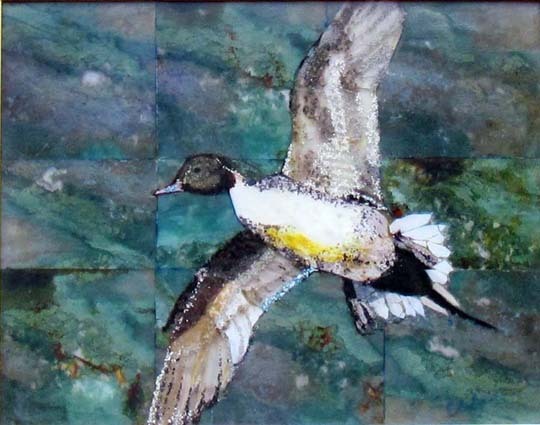 The black tail feathers are black agate. The wooded frame is handmade; the wood mat is yellow heart wood which highlights the tint of yellow on the duck's underbelly.